Play in our Darts contest this month and get a chance to win $1/point, a FREE Clubhouse Membership for the month of December & more by placing in the Top 5 scores for the month of November. This will qualify you to play in our Championship Darts Tournament which will determine standings and corresponding prizes. 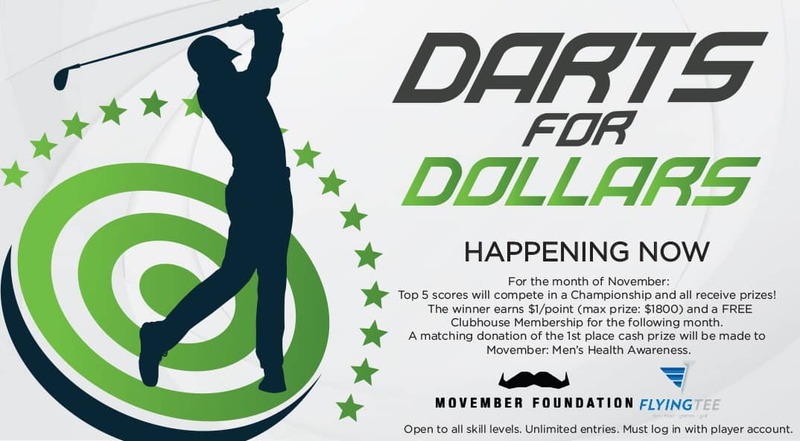 A matching donation of the winning cash prize will be made to Movember Foundation. For more information or to ask any questions, please contact our team at 918.528.7717 or email us at Info@FlyingTeeGolf.com.